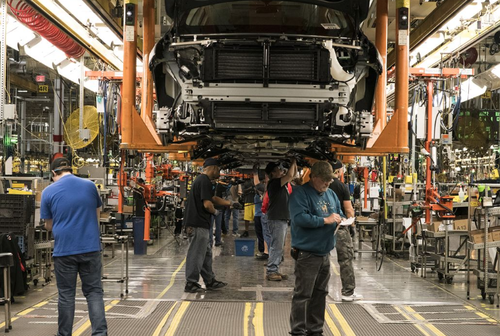 Just days after we reported of the dismal start to 2019 for the U.S. auto industry, General Motors will begin involuntary layoffs that will leave at least 4,000 workers without a job. According to the Detroit Free Press, the Detroit auto manufacturer is planning to begin layoffs just days before its fourth quarter earnings report. These layoffs are one of the first pieces of a larger restructuring that CEO Mary Barra announced in November. Five plants in North America are planned to halt production and 14,000 total jobs are slated to be cut. Part of the restructuring is to realign the company's infrastructure to produce more electric vehicles. People familiar with the matter stated that the company was actively trying to complete as many layoffs as possible before earnings. GM hasn't confirmed this, stating: "We are not confirming timing. Our employees are our priorities and we will communicate with them first." "We’ve indicated that the involuntary reductions would happen in the first quarter," a GM spokesman said. David Kudla, Chief Investment Strategist of Mainstay Capital, stated on Twitter that the upcoming week would start with "Black Monday at General Motors". In a recent note, he wrote that "GM's CEO Mary Barra is clearly not timid about making bold decisions to implement radical change, whether it be forging new technologies or the gut-wrenching shuttering of factories. GM is ahead of the pack when it comes to restructuring the business to focus on the future of (electric vehicles) and autonomous." Back in November, General Motors offered buyouts to 17,700 employees in North America that had at least 12 years working for the company. It was aiming for about 8000 voluntary buyouts, but as of November 19, only about 2250 workers had accepted them. About 1500 contract jobs have also been eliminated. By rough calculation, this leaves behind about 4200 salaried workers and 6000 hourly employees that will still be targeted for layoffs. General Motors said that half of the hourly employees were located in Canada. Some of the restructuring also takes place as a result of SUV popularity continuing. Many of the cuts being planned in the United States and Canada are at factories that make sedans and compact cars, which have fallen out of favor. As GM makes these cuts, it has been pumping cash back into mobility, autonomous driving and electric vehicles. The restructuring targets savings of $6 billion for the company by 2020. "Everyone's waiting for the ax to fall," one Detroit-based employee told the Detroit Free Press. "You don't know if you should plan ahead for anything or not?"